Slight change to our new Italian timetable for September 2018! 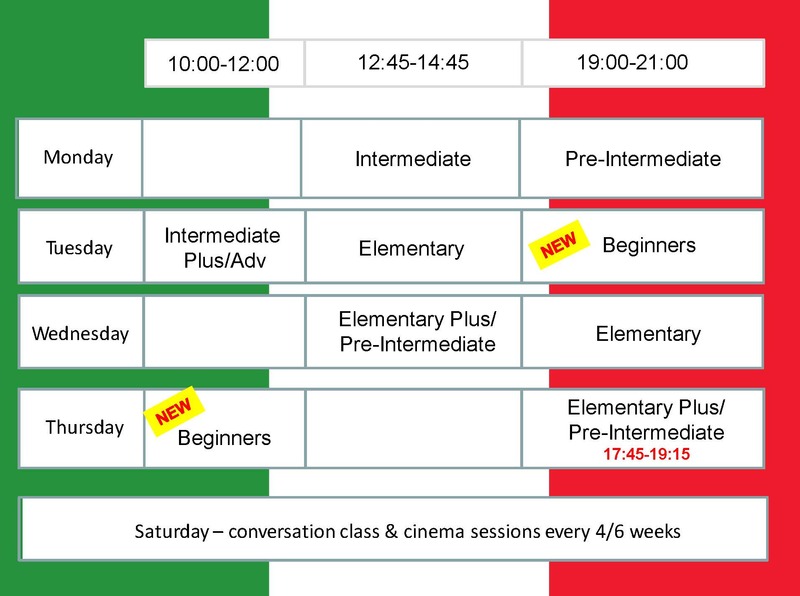 New Italian Beginners course now Thursday morning from 10-12. Courses start w/c 10th September. Enrol now to receive 15% discount off our annual fee! I’m looking forward to teaching these classes in our wonderful new school! Unit 7 Queens Square Business Park Honley, Huddersfield Road, HD9 6QZ. Remember if you can’t find the course you are looking for or the right day/time, then please contact me and I’ll see what i can do.